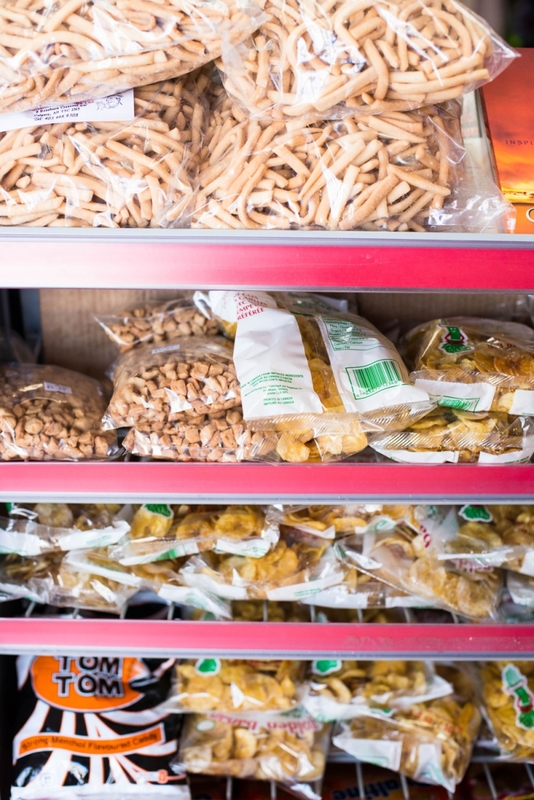 Calgary is full of small ethnic markets, mainly owned and operated by immigrant families. 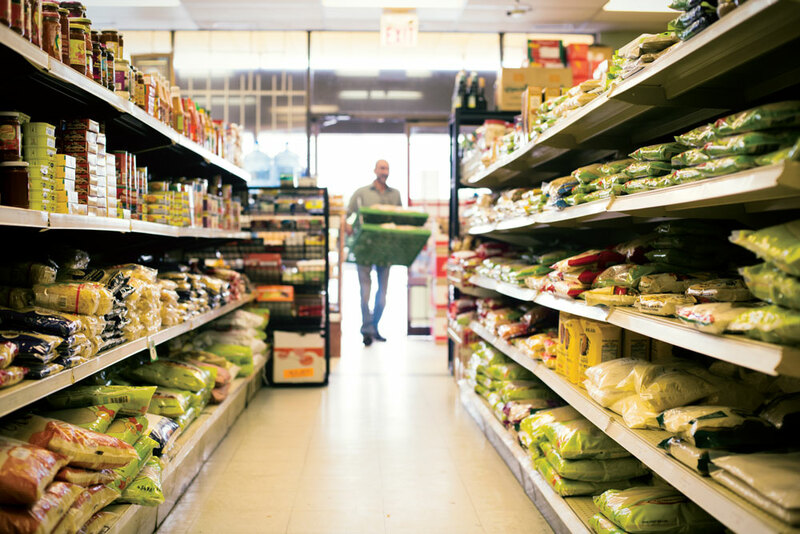 Some are full-blown supermarkets; others are little more than closets near the entrance to restaurants. Stepping inside is like taking a mini-vacation from the everyday to soak up the spicy smells, flavours, textures and languages of the world. 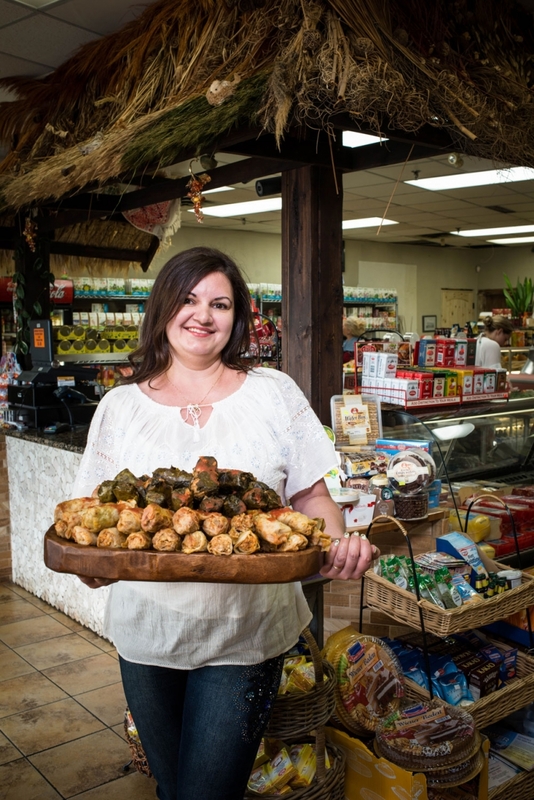 Joana Todica holds a tray of traditional cabbage rolls. With a traditional Romanian thatched roof covering the cash area, this is certainly one of the most distinct and picturesque local markets. 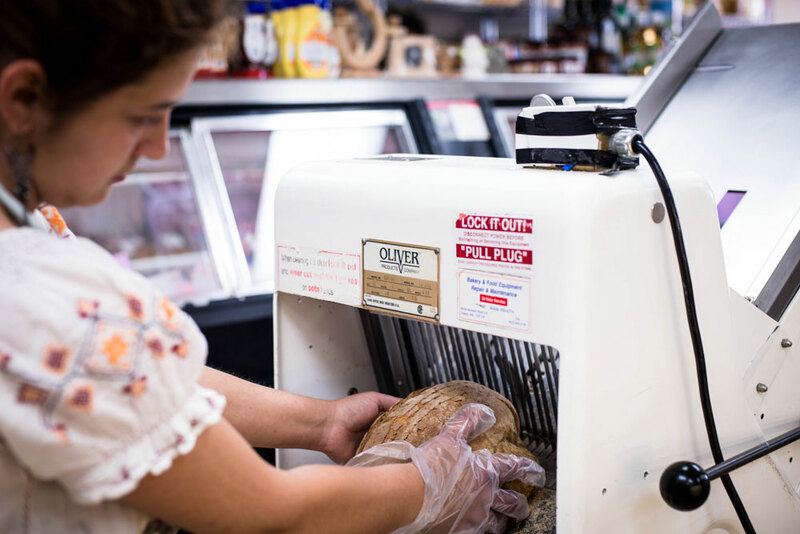 Named for proprietor Joana Todica’s grandmother, Maria Market has been so successful since it opened six years ago, it is expanding to open an adjoining lunch restaurant. 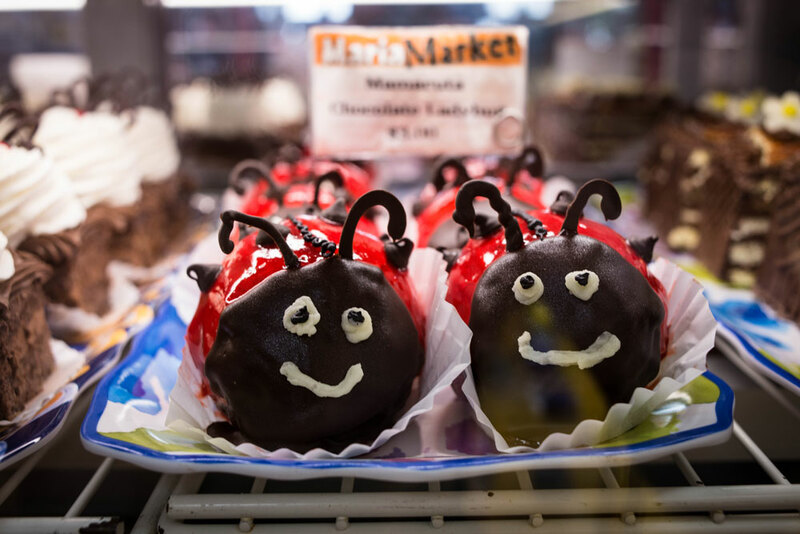 The bakery and deli carries a wide variety of eastern European imports, from chocolates and cookies to tea, jam, smoked fish and more. 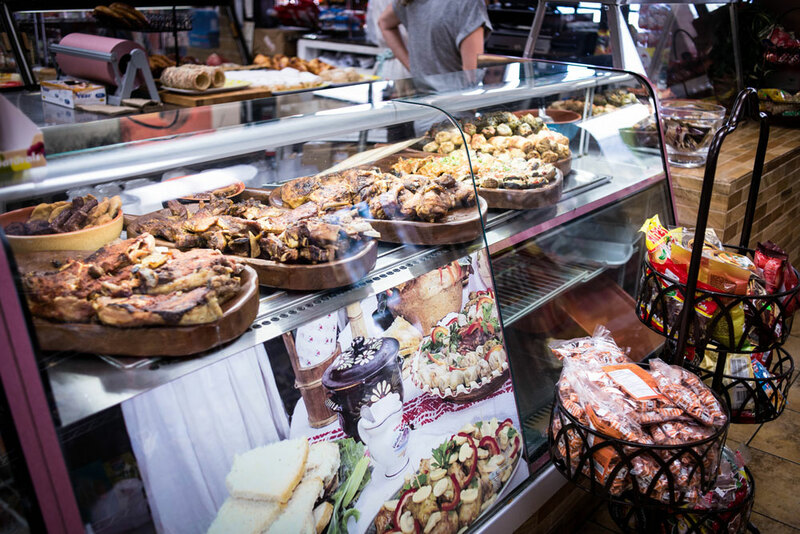 Maria Market makes its own natural and nitrate-free deli meats as well as hot food – the cabbage rolls are the top seller, says Todica. “Some people don’t cook at home. They place an order for the whole week,” she says, smiling and laughing. 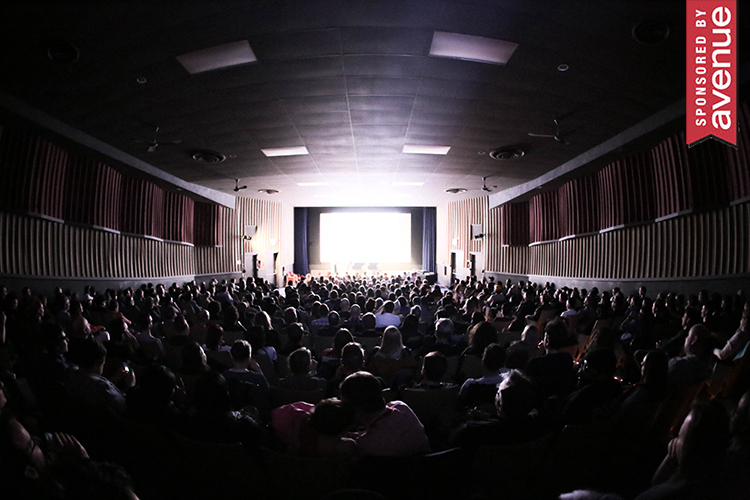 -K.L. Some of the homemade specialty sausages, unavailable elsewhere in Calgary. Prepared dishes at Maria Market. 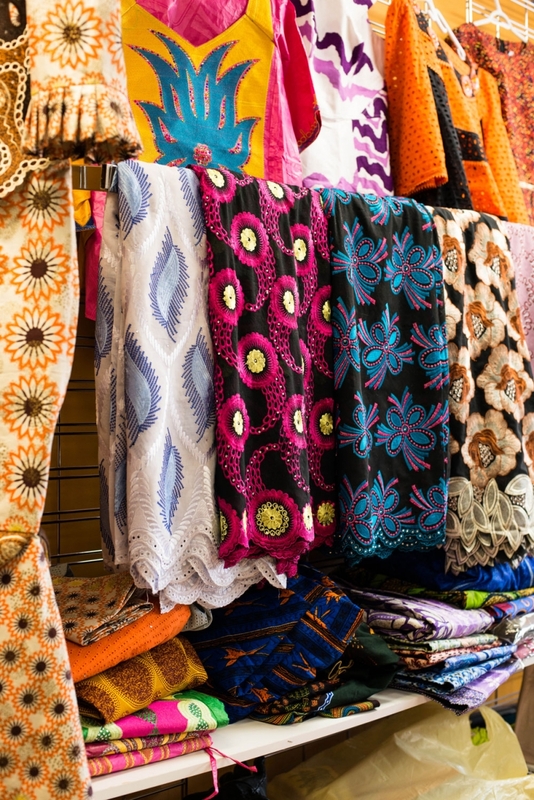 Owner Regina Oluwadairo in DeChosen Market. 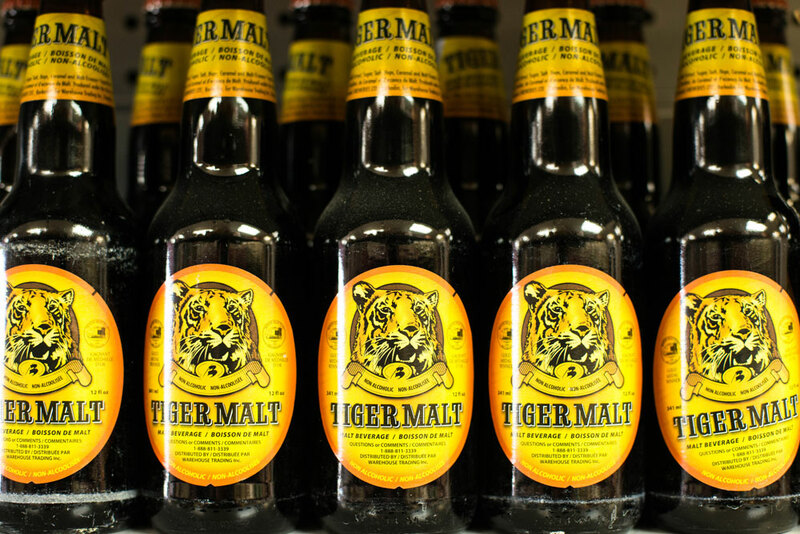 With food imports from Algeria to Zimbabwe, DeChosen really does have you covered from A to Z. 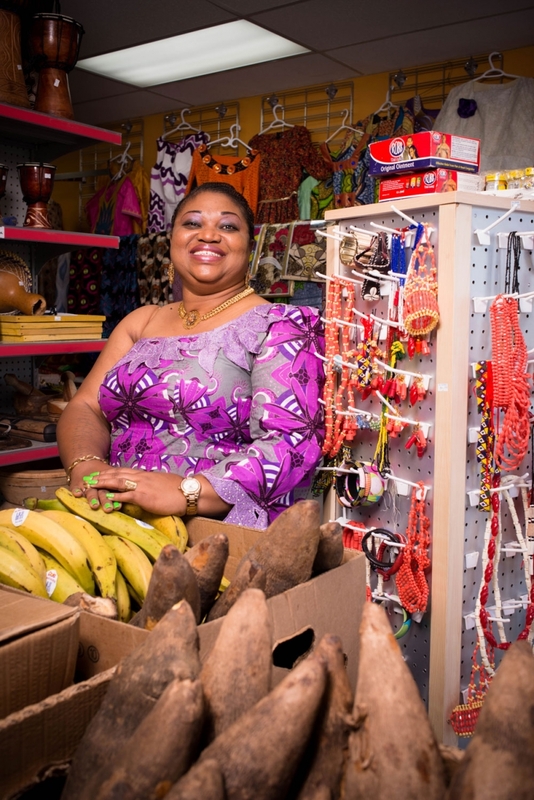 Originally a home-based business, Regina Oluwadairo’s market opened its first retail location 12 years ago and has been serving Alberta’s African community familiar foods like plantains, cassava root and Maggi brand items since then. 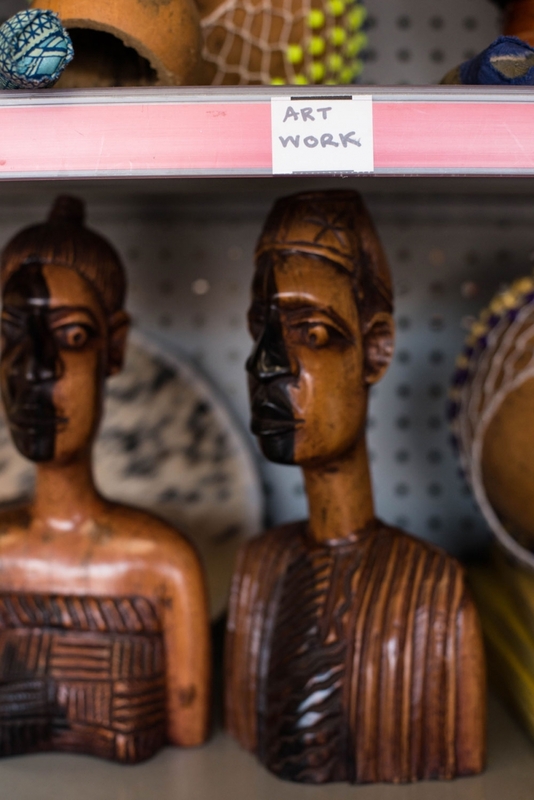 Beyond the art and accessories that make up the front of the shop, the shelves are lined with ready-made soup spices, coffee beans, legumes and more. 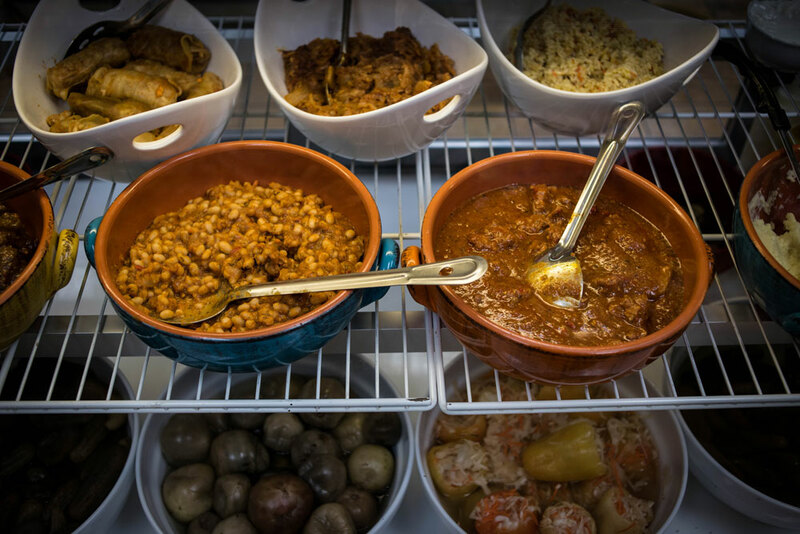 The back freezer is filled with imported frozen fare like smoked shrimp, goat meat, oxtail and a variety of fish from the continent. DeChosen also has its own brand of products, including palm oil, wheat flour, peanuts, rice, cassava fufu and flour that Oluwadairo has selected on her trips to Africa. If you don’t know what to do with all your African ingredients, Oluwadairo’s cookbook, West African Dishes The Easy Way, is sure to give you some ideas worth eating. –A.G. Owners Mariam and Rochdi Sarout. The delicious smell fills the air as Rochdi Sarout grinds beans for a customer who comes weekly for the fine grind of Turkish coffee. 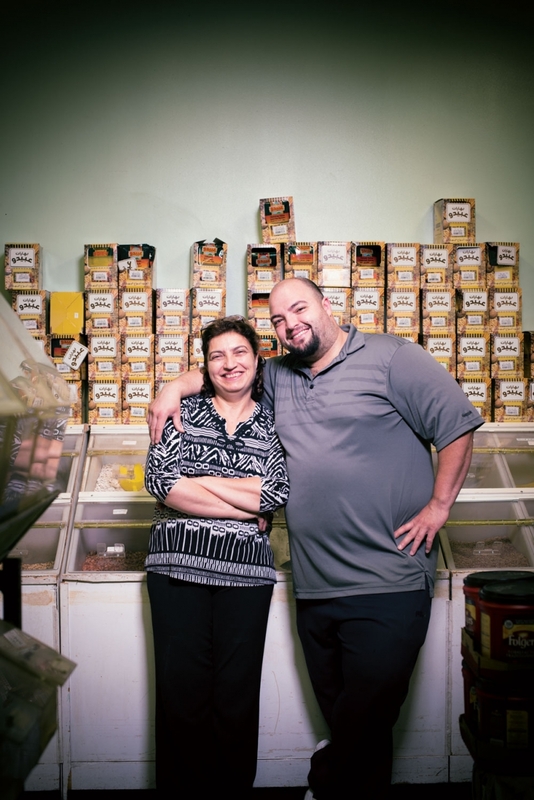 Sarout’s family has owned the market for 15 years (it first opened in 1987 as Gus Middle Eastern Store), and a steady stream of customers flows in chatting with the friendly man who looks completely at ease surrounded by the products piled to the ceiling. Here you’ll find everything you need for a Middle Eastern feast, from fresh and dried dates to jars of baba ghanouj and hummus, pomagranate syrups and salad dressings, pickled turnips, rose water, bulk spices, grains and olives. There is also a dairy fridge stocked with phyllo, halal cheese and yogurt soda. At the back is a halal butchery with house-made sausages. 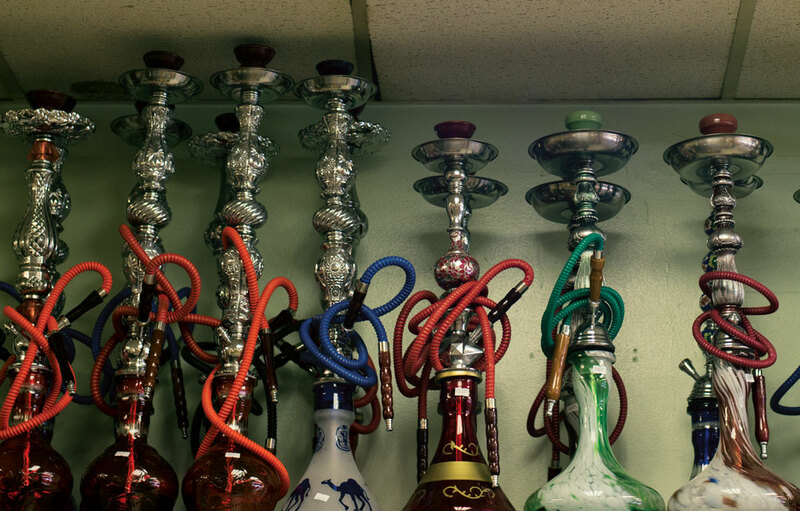 And to finish your feast, in addition to the sweets (halva, Turkish delight and pastries), Green Cedars carries Turkish coffee pots and delicate small cups as well as hookahs. -K.L. 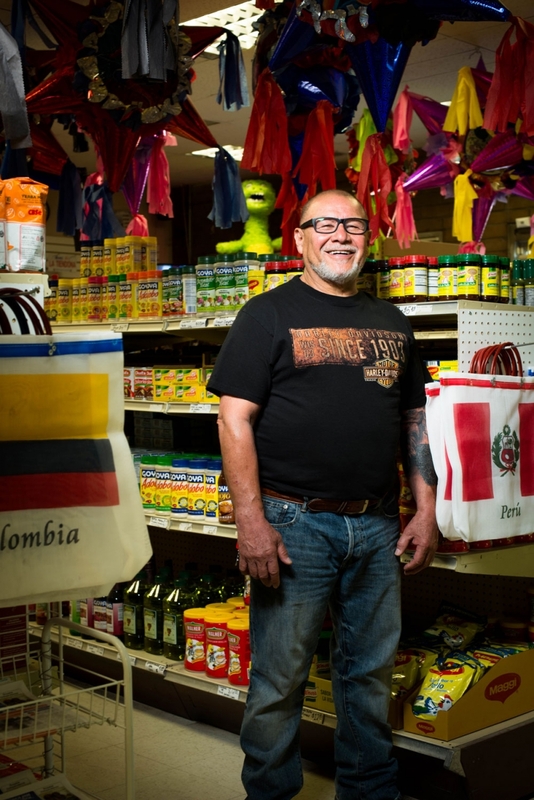 Luis Villatoro carries all things Latin American at La Tiendona. 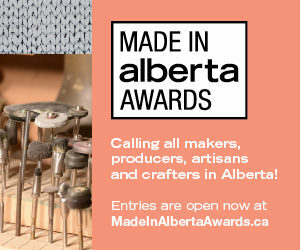 For more than 20 years, La Tiendona has been bringing the flavours of Latin America to Calgary. The shelves are stocked with canned goods, hot sauces, drinks including horchatta mix and other packaged foods. 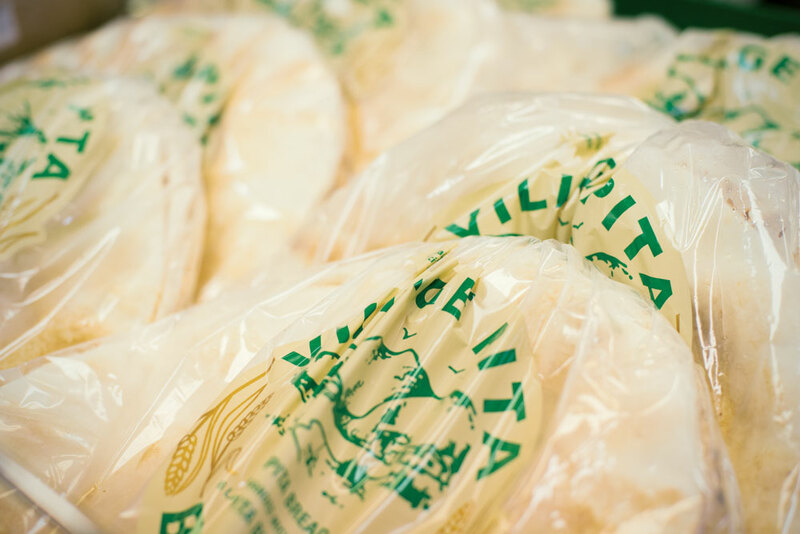 Dairy cases feature queso fresco, chorizo and fresh corn tortillas. 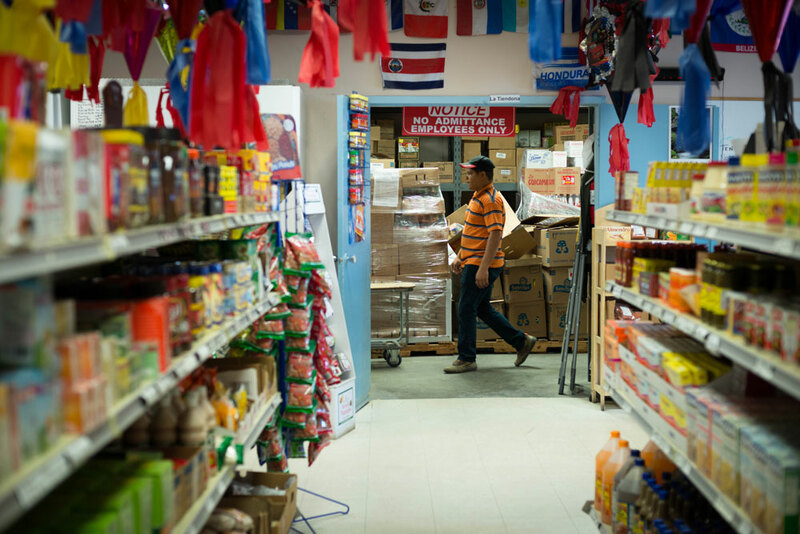 Freezers are stocked with plantains, pupusas, banana leaves and more. 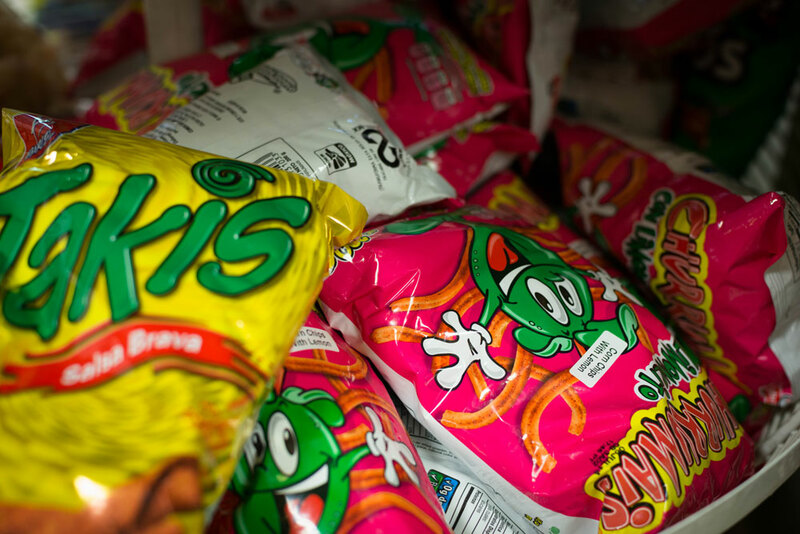 And, to really get your party started, La Tiendona carries piatas. But the real standout reason to come to this spot just south of International Avenue is the house-made empanadas. 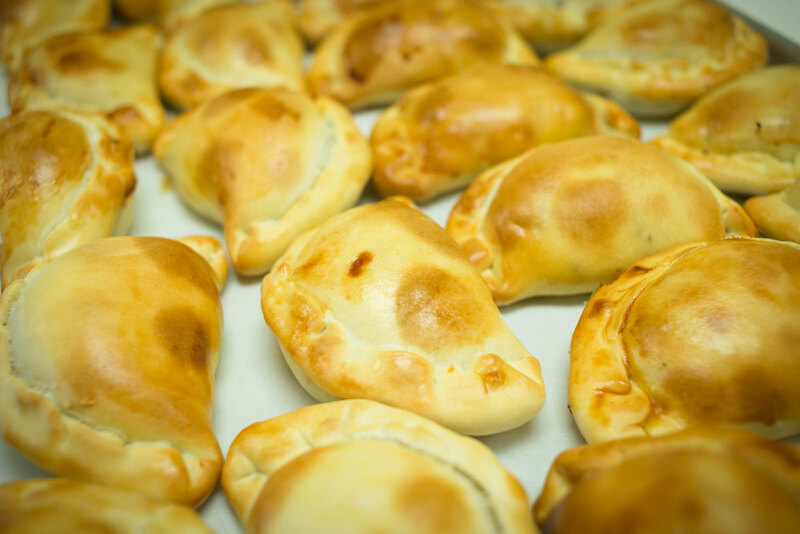 Baked fresh onsite each day, the spicy scent of the empanadas – little pillows of pastry stuffed with veggies, chicken or beef mixed with onion, olives and spices – fills the air with a delicious warm aroma from the moment you step in the door. -K.L. 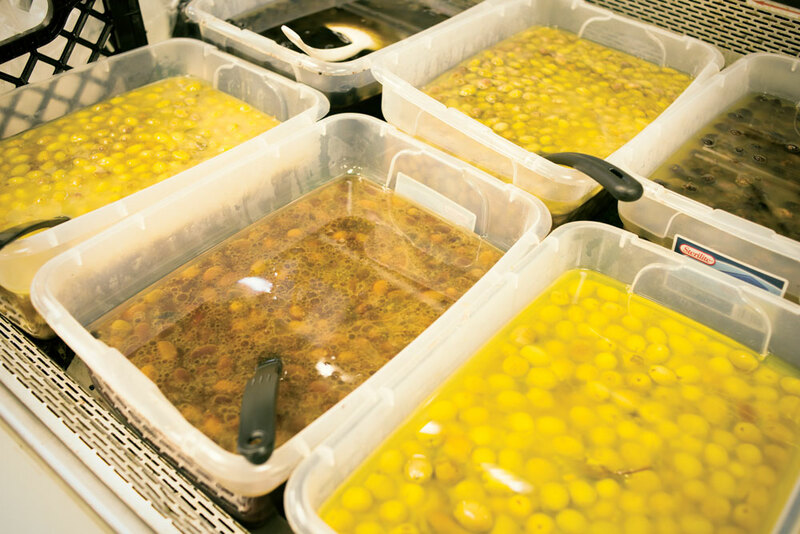 Empanadas are made fresh daily. 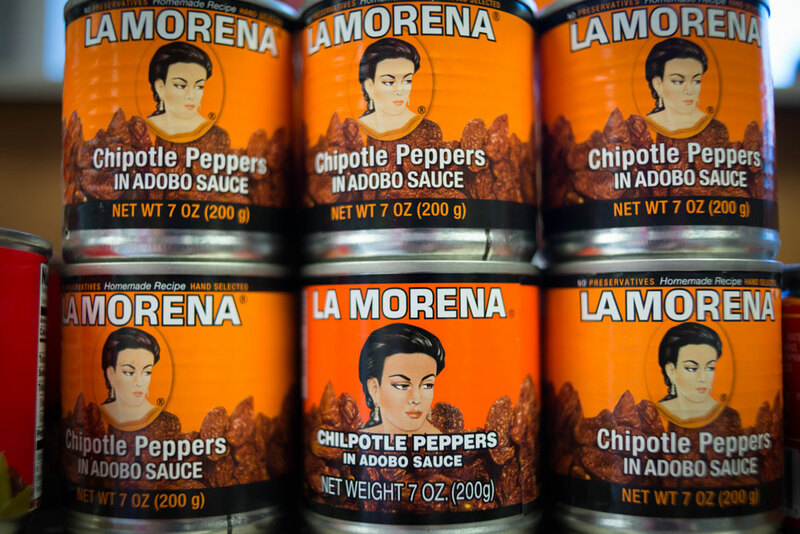 Find hot sauce, canned goods and more.